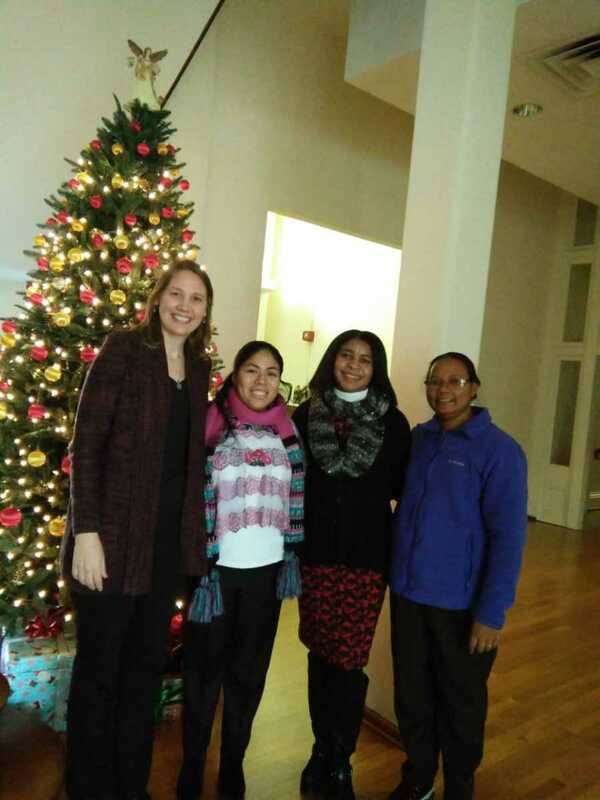 For several days between Christmas and New Year, Miriam Juarez and Marcillina Nwuso spent time at Nazareth and participated in a discernment retreat entitled God With Us on the Journey of Life. SCNs Chris Kunze and Sushma Bodra facilitated the retreat. The retreat included time of prayer, reflection and sharing about God’s invitations in our lives and the ongoing discernment to which God calls us. The circle of sharing expanded when SCNs Sharon Gray, Mary Reisz, and Susan Gatz shared on their lived experience of Conversion, Community, and Mission. The time also included a pizza party and a visit to Old St. Thomas. The retreat began by enjoying tamales together prepared by Miriam (tamales is a Christmas tradition for many in Belize). 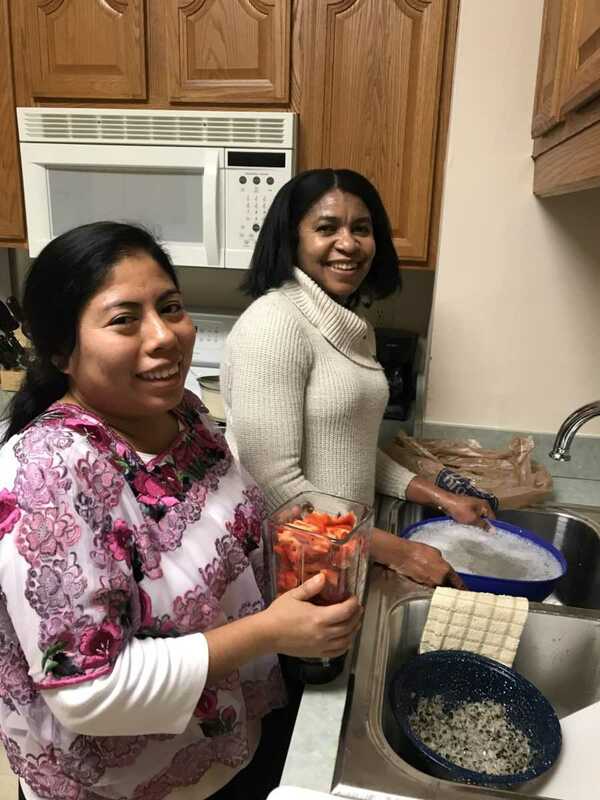 The time together concluded by Marcillina preparing moi-moi, a special Nigerian dish to bring good luck in the New Year, which was shared at the Motherhouse New Year’s Eve celebration. Please continue to hold Marcillina and Miriam in your prayers as they discern where God is leading them on their journey. I was delighted to see your happy faces and hope to see you with us again. Thank you for sharing your cultures with us thus expanding our awareness of other ways of celebrating the Christmas season. Wishing you good discernment and joy as you remain open to God’s desire in your lives. They are in my ‘prayer-pocket’ as they discern about their lives. I was glad to get to meet them. JUST LOOKING AT YOU(ALL)IN THE GROUP PICTURE CHEERS MY SOUL! WAS A BLESSING AND FUN, TOO. I AM GRATEFUL. How wonderful to see the the Belizean and African celebrations shared with us. My prayer is with you as you discern God’s call…. God continues to work miracles. Let us be open to God’s call. Be assured ghat prayers surround you as you discern your call!